LOCKLINEA surreal silent short film about a dead man who wakes up in purgatory. He needs to go trough the 5 stages of grief before he can move on. 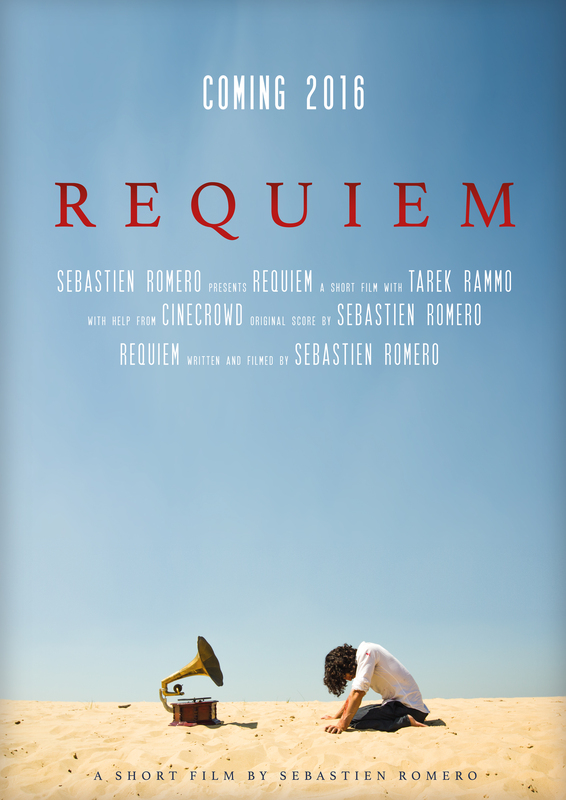 Requiem is a short film that borrows from the surrealism as well as from the old silent films. It's a film without dialogue that tells a story just with visuals, acting and music. Our main character wakes up in a desert like area, he does not know where he is, his clothes are bloody his skin is dry. He starts walking hoping to see a sign of life and hoping to ever see his wife and family again. While walking he encounters surreal scenarios and starts hallucinating. We see how the man breaks down on his way to the acceptance of his death. Being a "one-man-crew" certainly is cheaper then paying 30 people to do everything for you, but it certainly is not free. All the costs that go into shooting are coming out of my own pocket, and while I certainly don't intend to make profit of the film, It would be nice to have all the costs covered so I can be sure that the film can be made without budget problems. For instance, I will record almost everything for the soundtrack but for this film I want to do something special and write something for an string-quartet + soprano, which is going to cost something. There are also alot of costs in the props like a grammophone, a phonecell. For the set and driving to and from the set. Tarek Rammo is a former gymnast and graduate of the Codarts Circus Arts academy in Rotterdam, the Netherlands. He specializes in Aerial Straps and works as a multidisciplinary artist, having performed in dance, theater and a wide range of circus disciplines. He has performed all over the world with companies such as 'Cirque du Soleil', 'The 7 Fingers', 'DanceWorks Rotterdam/André Gingras' and 'The Ulrike Quade Company'. Besides this he has performed in numerous special events, galas and TV broadcasts. SEBASTIEN ROMERO: WRITER, DIRECTOR, CINEMATOGRAPHER, COMPOSER, EDITOR, SOUND DESIGNER. 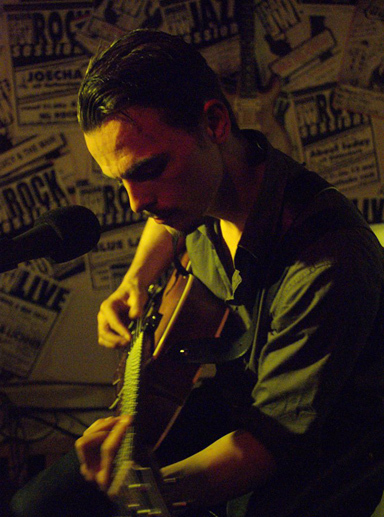 I'm Sebastien Romero, a 23 year old Dutch filmmaker and multi-instrumentalist/composer. I started off as a 2D animator when I was 12 and later on I graduated in animation when I was 19. The only problem was that I was getting a new hobby that would rapidly take over my animating work which was music, I learned myself to play the drums, guitar and piano and not much later I was being able to play over 8 instruments, I started to gain more interest in film and film music. Now I am following an education for composing (film) music, while learning about filming in general on the side. Right now I'm working on my second short film Requiem. Requiem is a short film without dialogue, it relies just on visual storytelling, music and acting like in the golden age of the silent movies. The art of sound and images is that it can communicate with anyone anywhere without speaking a specific language. Succes Tarek en Sebastien. Ik ben benieuwd 21/8! Sebas, Zoals je weet steunen wij jonge creatievelingen such as yourself van harte. Succes met je project dude! Succes, Sebastien. De trailer is veelbelovend! Succes neefje! Trailer ziet er in ieder geval al gruwelijk goed uit..
2% bijdrage geleverd, succes met het behalen van de overige 98%! Kuskus, Anneloes. Zodra de film weer ergens in een zaal vertoond wordt zal ik jullie op de hoogte houden voor degene die niet bij de premiere konden zijn. Tot die tijd, veel plezier met het online bekijken en nogmaals heel erg bedankt! Bedankt voor jullie bijdrage aan Requiem! Ik zal deze week zorgen dat iedereen die nog een wallpaper of video file krijgt die via de mail zullen ontvangen. The bad news is that I was not able to finish the short film before the end of 2016 which was my personal goal. It has taken a little longer because the special effects needed some extra time and because I wrote out a lot of music for the film which has been recorded by a real orchestra and by Egyptian soprano Nadine el Seragy. The last piece of music is probably going to be recorded next month, I will post a video of it as soon as I receive it. I will keep you updated about the final cut of the film and the plans for the release. I would like to thank everyone once again for their support and their patience. In the meantime have a nice day and a happy new year!! NEW EVENT: THE FIRST 25 PEOPLE TO DONATE GET A FREE A2 SIZE LIMITED EDITION REQUIEM POSTER! Thank you so much!! Because of your help you will get your very own limited edition signed poster, see your name in the credits, get a wallpaper, and a HQ download of the film + tickets to the film premiere. Thank you very much! You are awesome. Because of your donation you will get a signed copyof the screenpay, a signed limited edition poster + premiere tickets, your name in the credits, HQ download and wallpaper. Thank you very much! You too awesome. You will get all of the above and you will get a movie prop. The first one to donate 250 or more, gets the gramophone that plays a big part in the movie. Thank you so much, You will get all of the above + You get a custom parody video in which you decide what song comes out of the grammophone at the end of the film. No way, I can't thank you enough. You will get all of the above + the custom parody video + I will film either a fake trailer about your life, or a promotional video for something you want.